Features: New product from Triton! 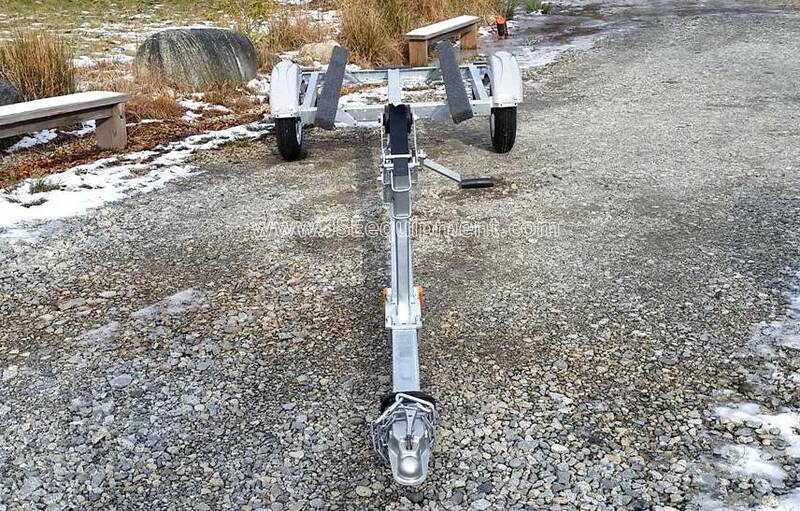 One of the best on the market! 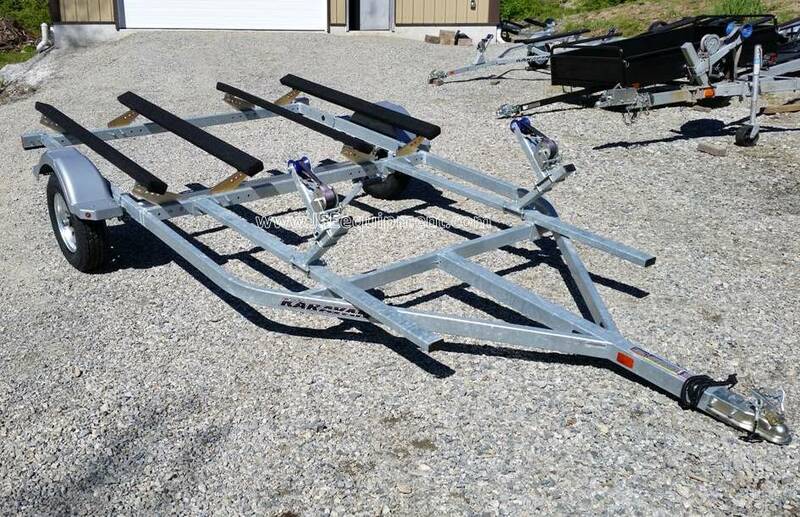 PWC / Small boat stand, Personal Watercraft Stands are great for storing or displaying your machine in a garage, in a showroom or at an event. 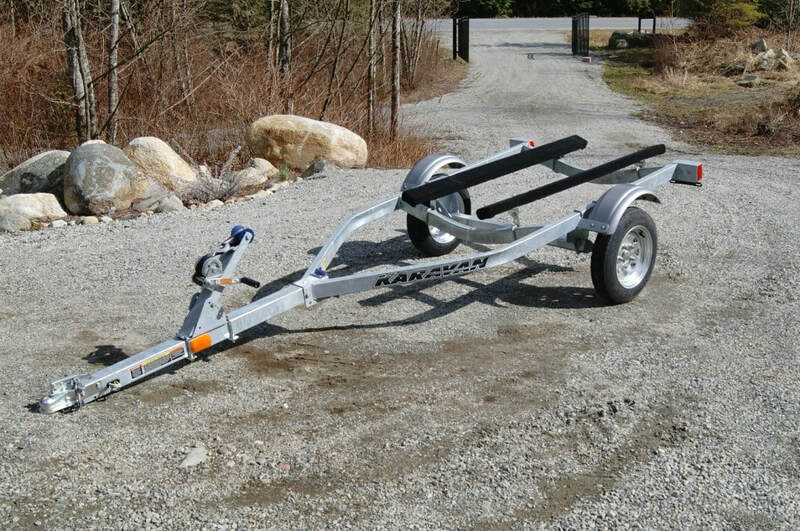 Overall Length: 5', Overall Width: 30", Carrying Capacity: 1,600 lbs. Stand does not come with casters, aftermarket casters will be available. 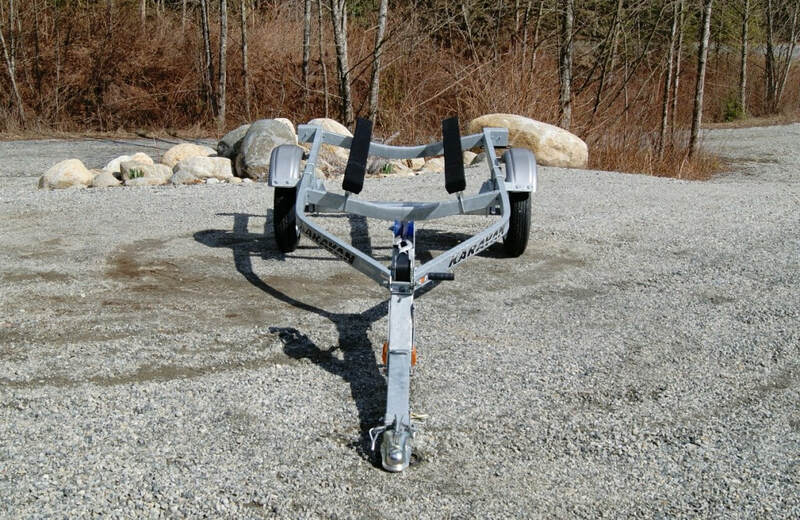 Set of 4, Large 4″ diameter caster wheels with ball bearings for smooth and easy movement. 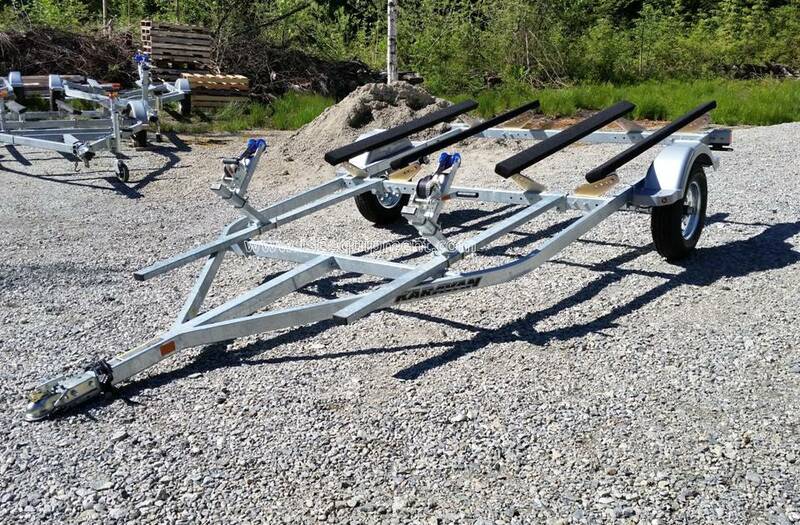 2 of the 4 casters have brakes. 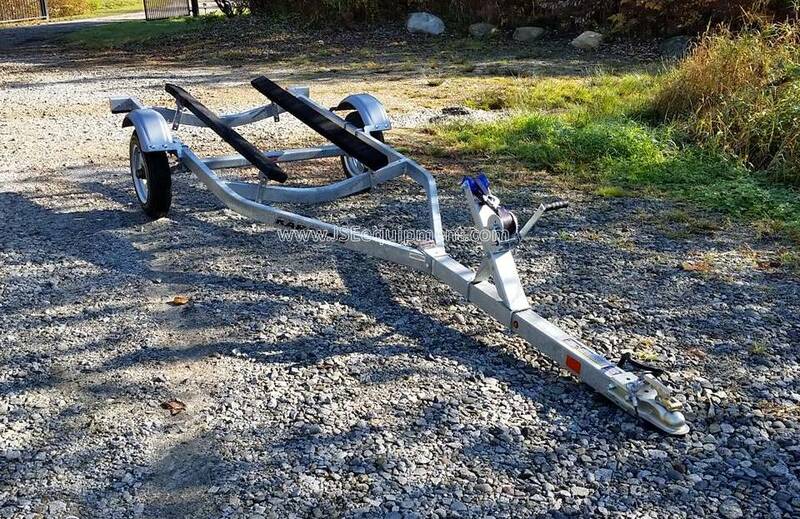 (1,600 lbs. 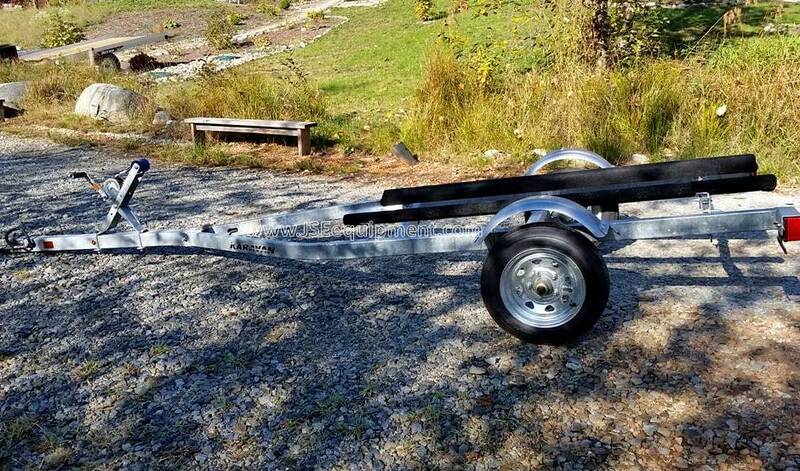 total capacity). 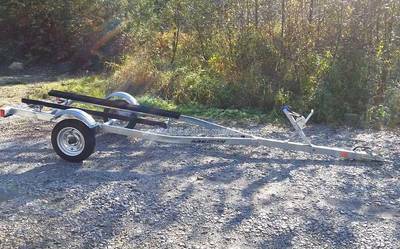 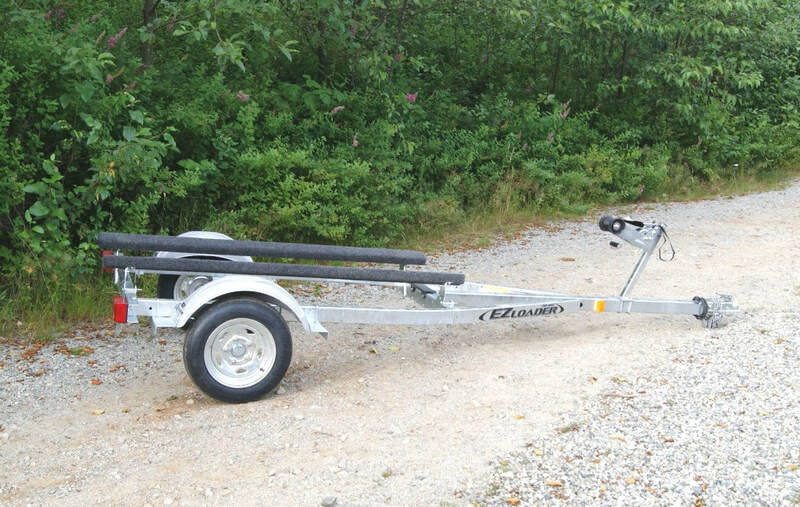 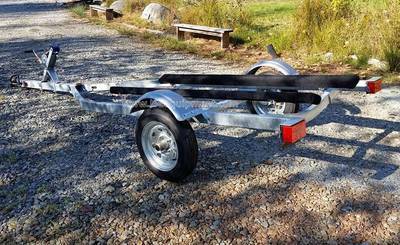 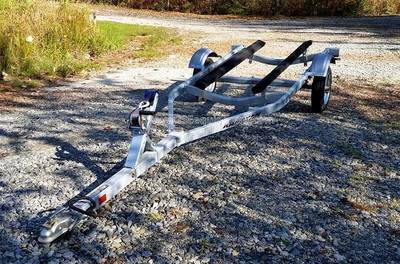 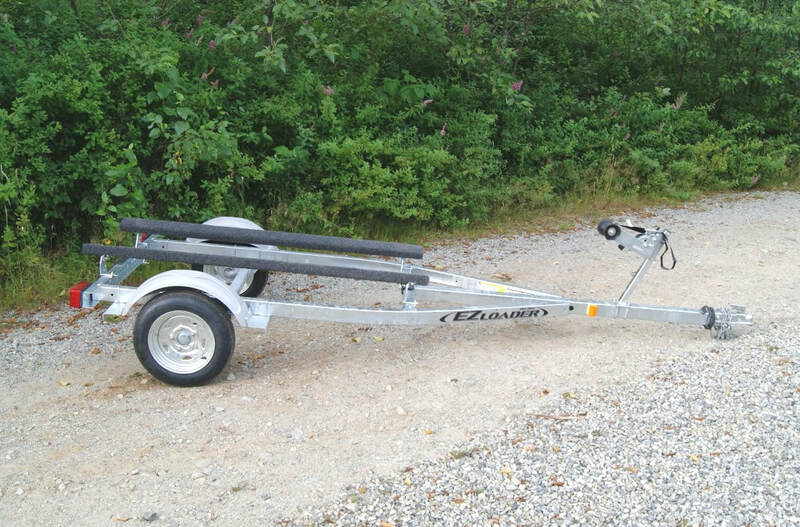 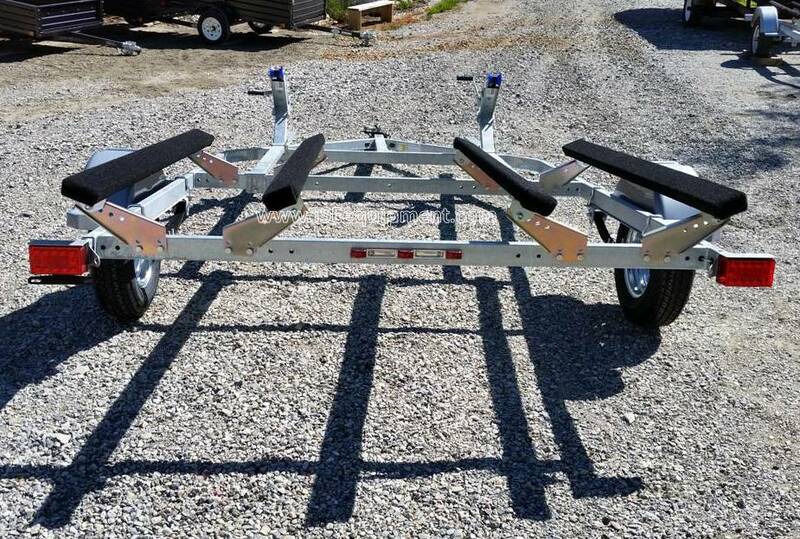 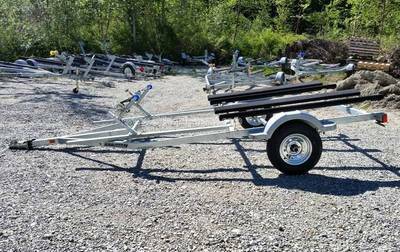 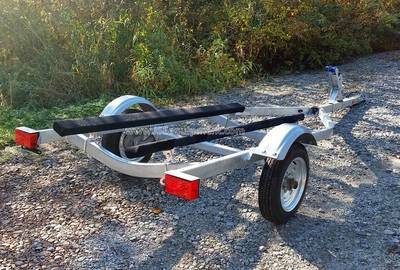 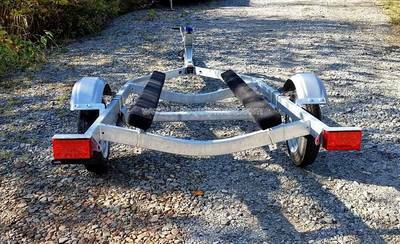 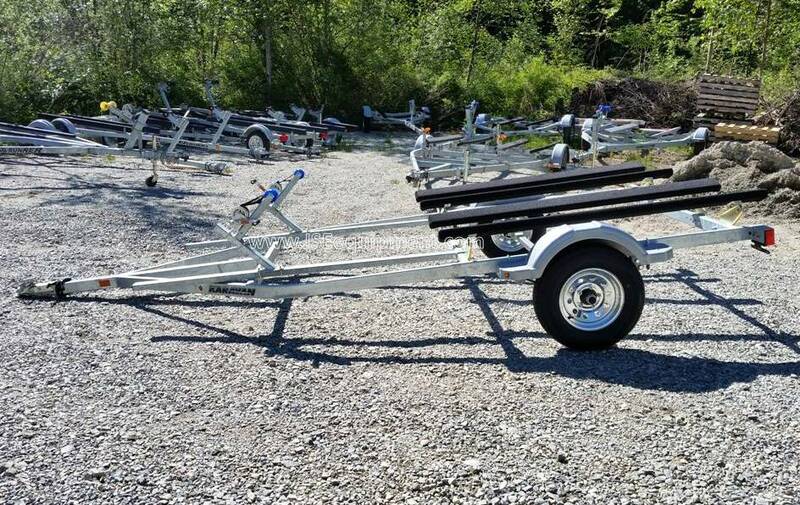 ​*NEW* EZ Loader 10-14' Small Boat / Watercraft Trailer, Extended Bunks. 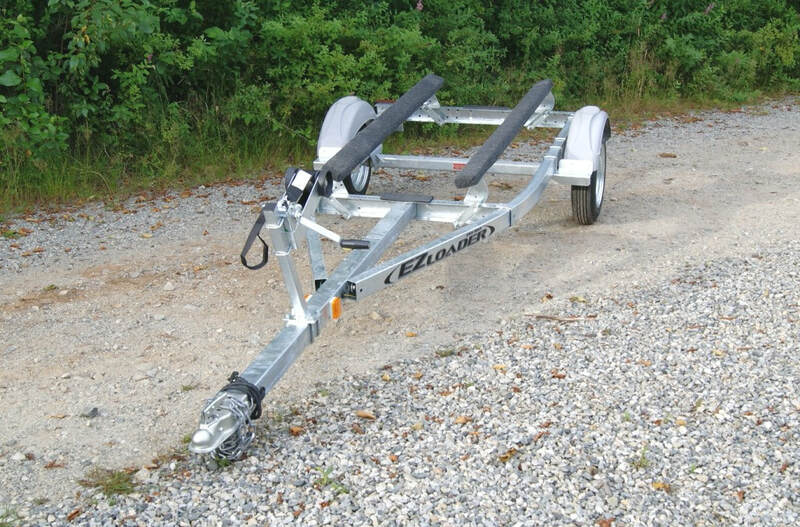 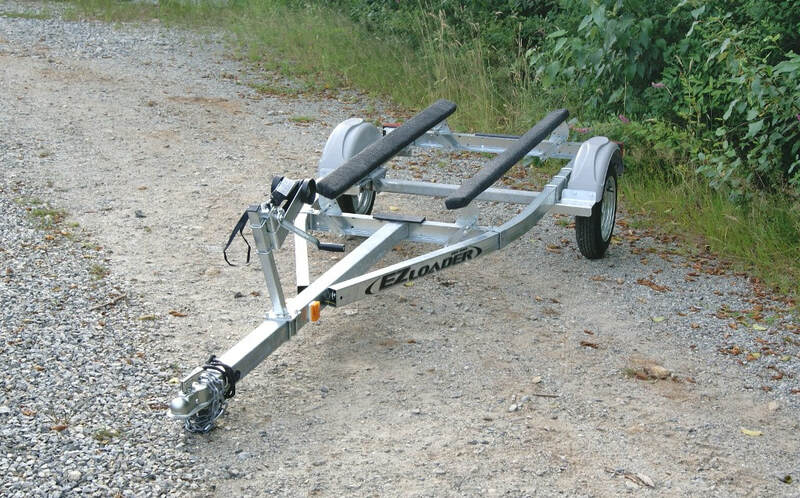 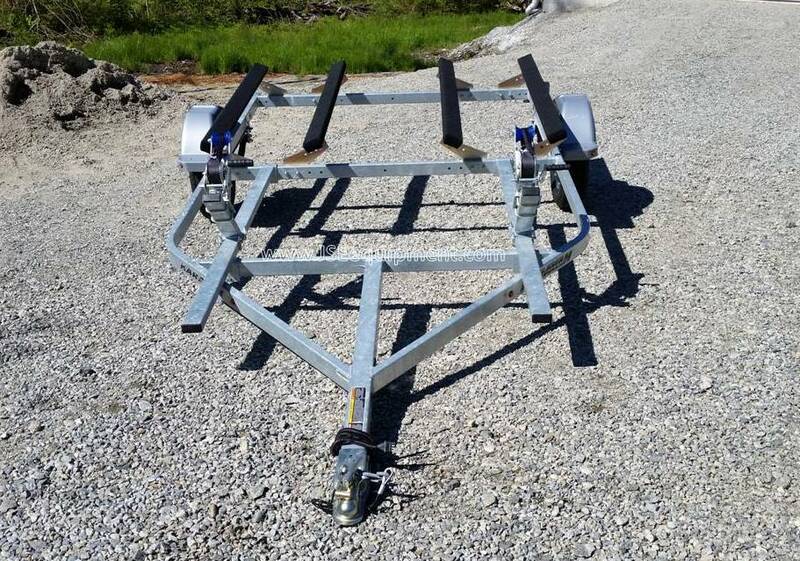 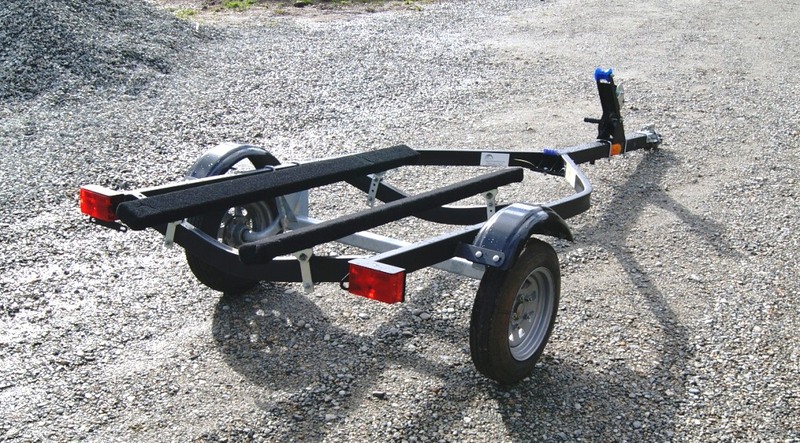 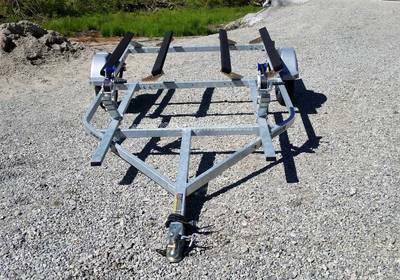 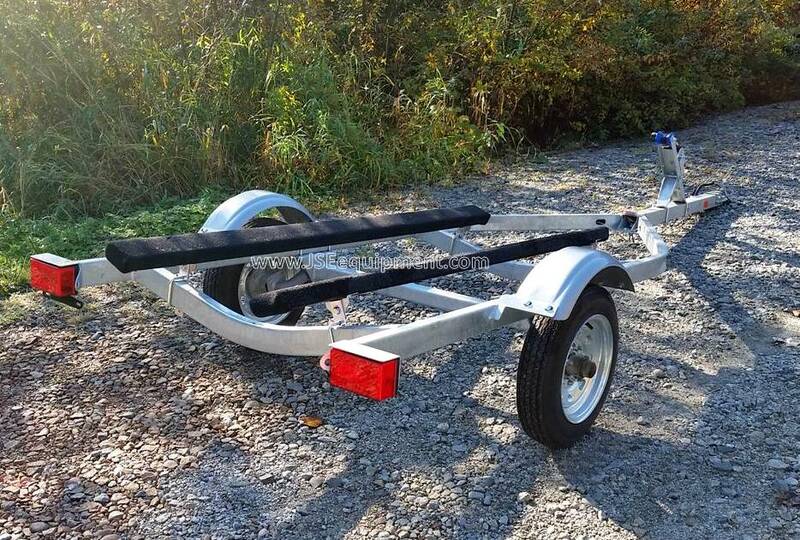 *NEW* EZ Loader Galvanized Watercraft trailer, Spring suspension with Galvanized Axle, 800lb Carry Capacity, 1050lb GVW, 4.80 x 12" Wheels, Galvanized rims, Approx. 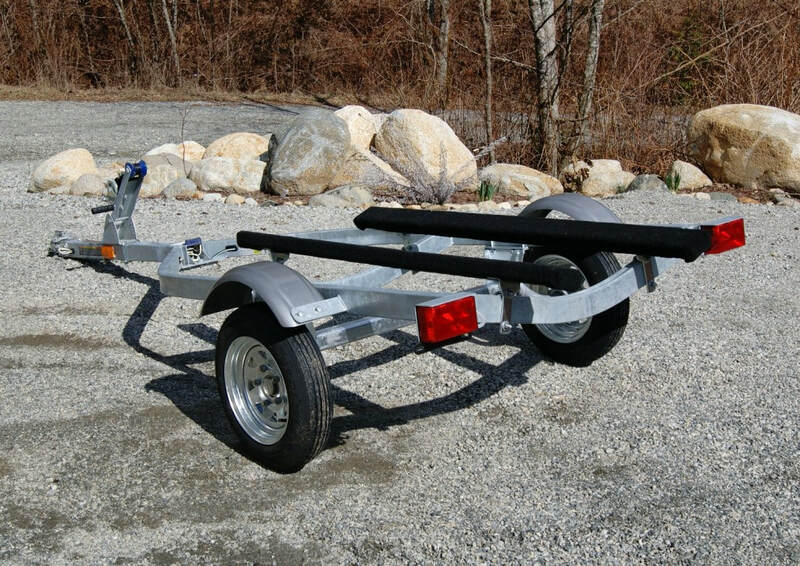 Overall Length: 13', Overall width: 59", Width between fenders: 45", Curb Weight: 221 lbs, Box style frame, 2 pce adjustable winch post, Galvanized Frame, Tongue Jack optional. Spring suspension with Galvanized Axle, 1150 lb Carry Capacity, 1460lb GVW, 4.80 x 12" Wheels, Galvanized rims, Approx. Overall Length: 13', Overall width: 59", Width between fenders: 45", Curb Weight: 221 lbs, wishbone style frame, 2 pce adjustable winch post, Galvanized Frame, Tongue Jack optional. 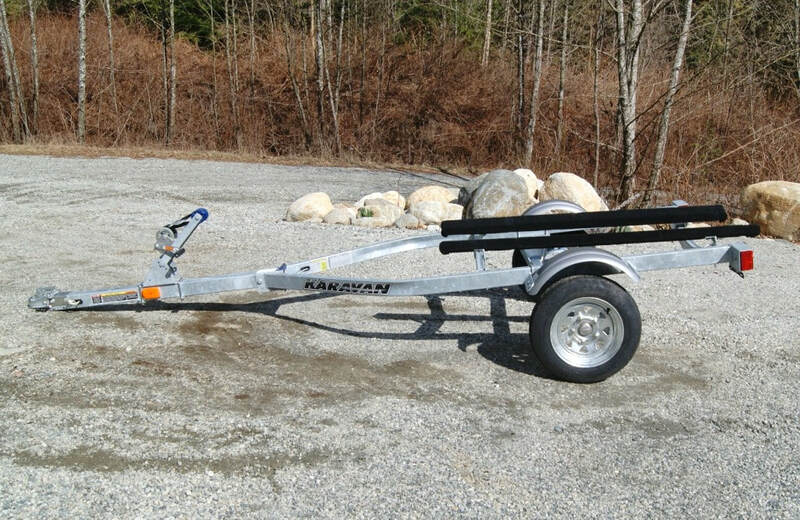 *NEW* Karavan Single PWC / Watercraft trailer Tire Size: 4.80 x 12B, Carrying Capacity: 1250 lbs, Approximate Weight 229 lbs, Overall Width: 60", Overall Length: 12' 5", Width between fenders: 46", 2" coupler, Adjustable carpeted bunks, Sealed Bearing system, Galvanized Torsion axle suspension, Full LED lighting! 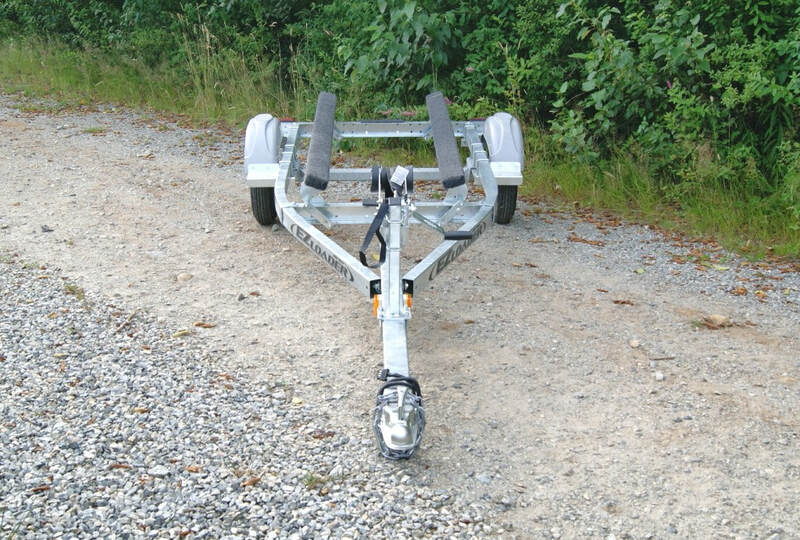 Will fit 10' Small boats! 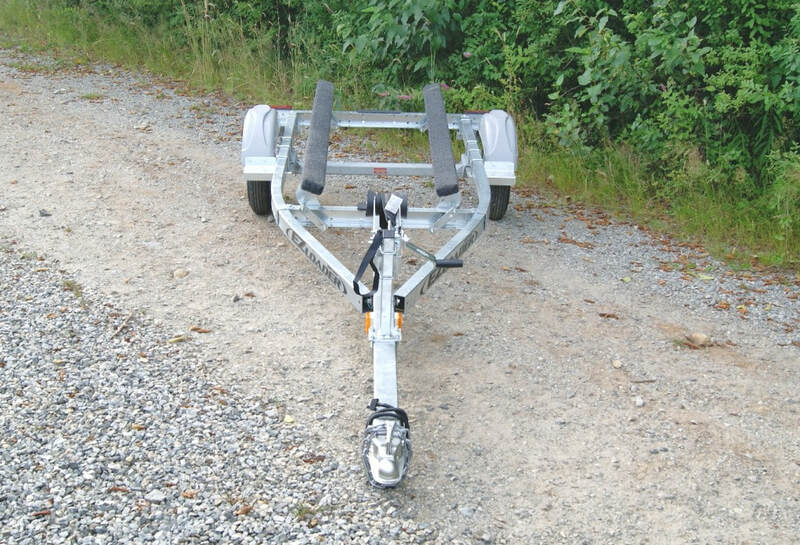 Features: Designed for 130” and smaller personal watercrafts, Aluminum frame, 60” tongue for best fit in watercraft class size, Tire Size: 4.80 x 12, Carrying Capacity: 1030 lbs, GVW 1200 lbs, Approximate Weight 170 lbs, Overall Width: 55", Overall Length: 145", Easy lube Bearing system, Spring axle suspension, 2" Coupler, 4 Prong electrical hook up. 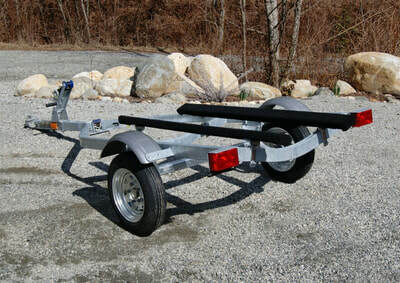 Tongue Jack Optional and not included in price. 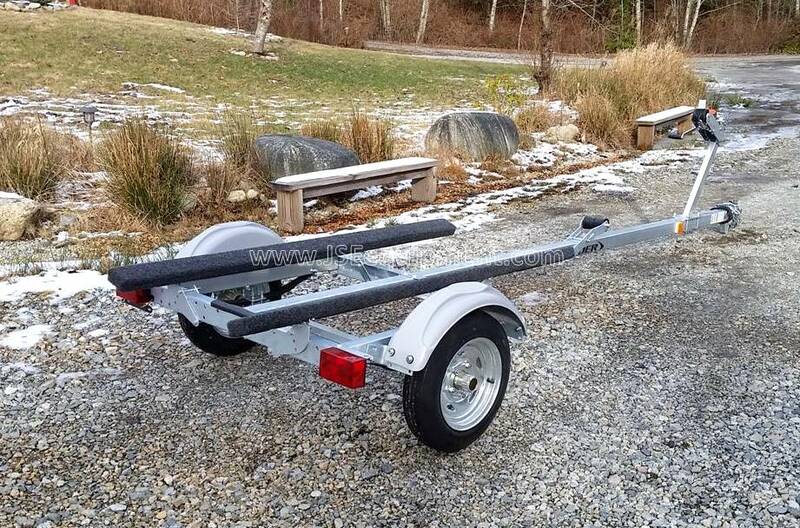 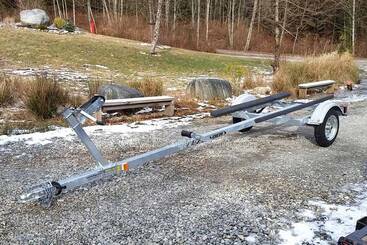 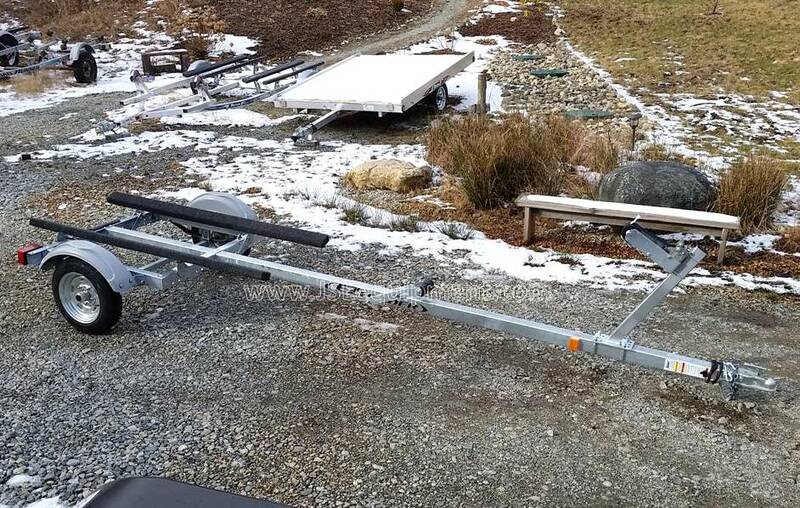 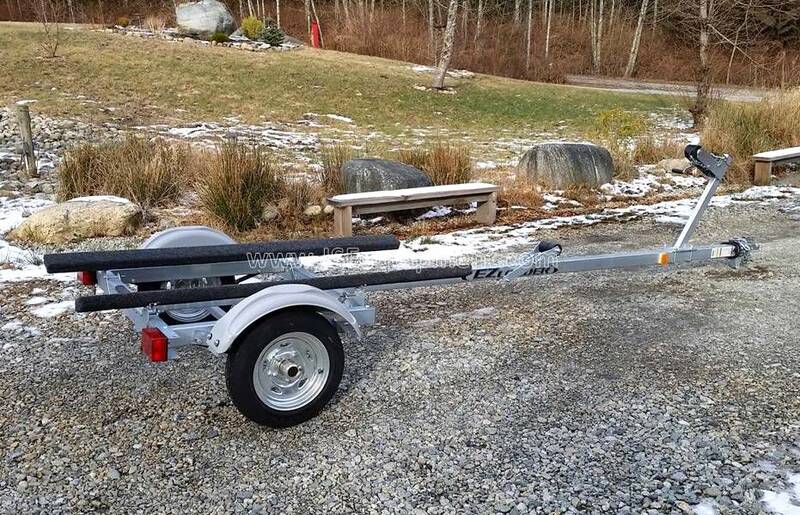 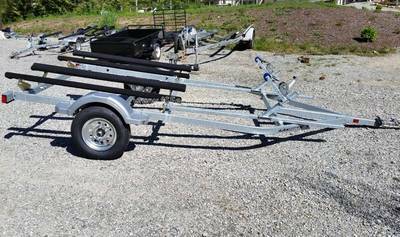 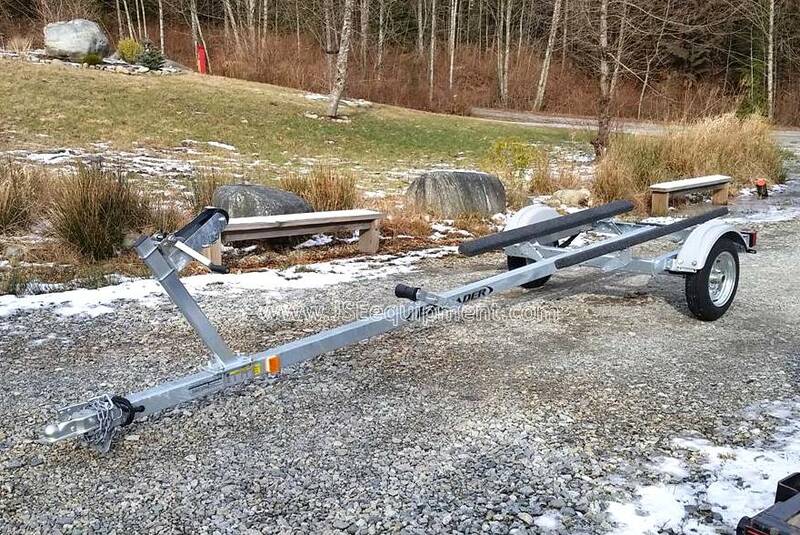 *NEW* Karavan Single PWC / Watercraft trailer Long Frame, Tire Size: 4.80 x 12B, Carrying Capacity: 1250 lbs, Approximate Weight 250 lbs, Overall Width: 60", Overall Length: 14' 3", Width between fenders: 46", Adjustable carpeted bunks, Sure lube Bearing system, Galvanized Torsion axle suspension, Upgrade 2 piece winch post, Full LED Lighting, Will fit 10'-12' Small boats, 2" Coupler, 4 Prong electrical hook up. 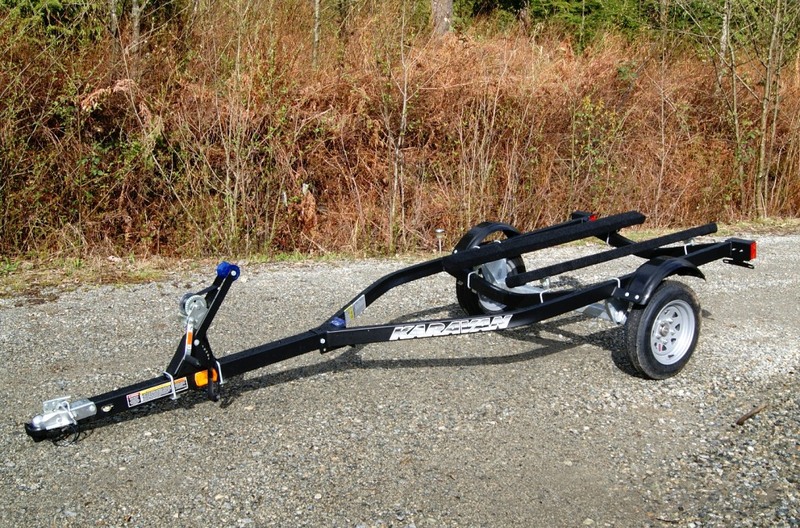 Features: Trailer folds and stands up out of the way, Bottom rolling casters, Upper and lower racks to hold Canoe's, Kyaks, or Paddleboards, Motorcycle style wheels with mounted spare under the deck, Dual independent Coil Spring axle suspension, Approx. 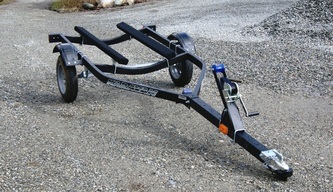 450 lbs carry capacity, 2" Coupler, 4 Prong electrical hook up. 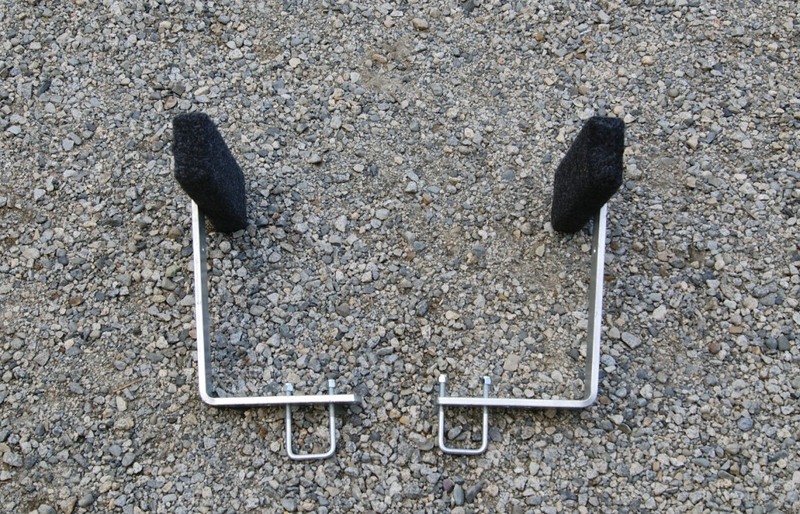 Extended tongue kit, Included Tongue foot. 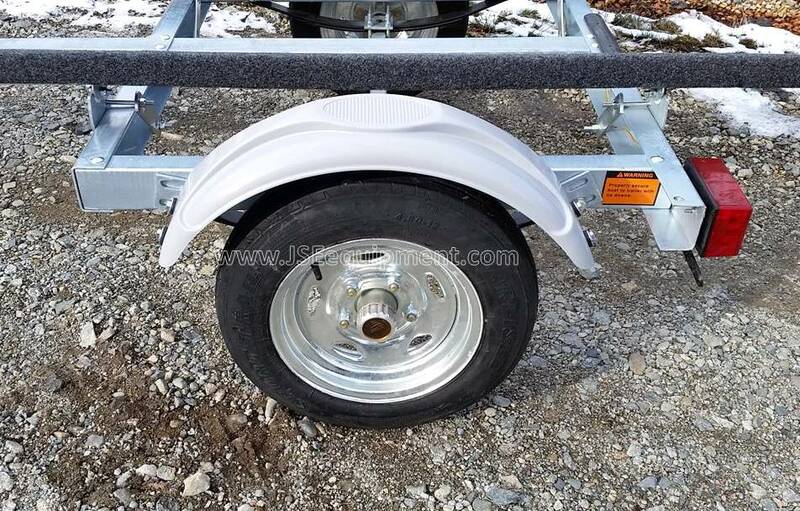 Features: Adjustable brackets and carpeted 6' bunks, Aluminum frame, LED Lighting, Tire Size: 4.80 x 12, High Carrying Capacity: 1785 lbs, GVW 1980 lbs, Approximate Weight: 195 lbs, Overall Width: 59.5", Overall Length: 183", Easy lube Bearing system, Fully adjustable winch post, Spring axle suspension, 2" Coupler, 4 Prong electrical hook up. 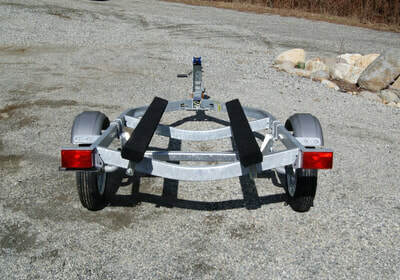 Tongue Jack Optional and not included in price. 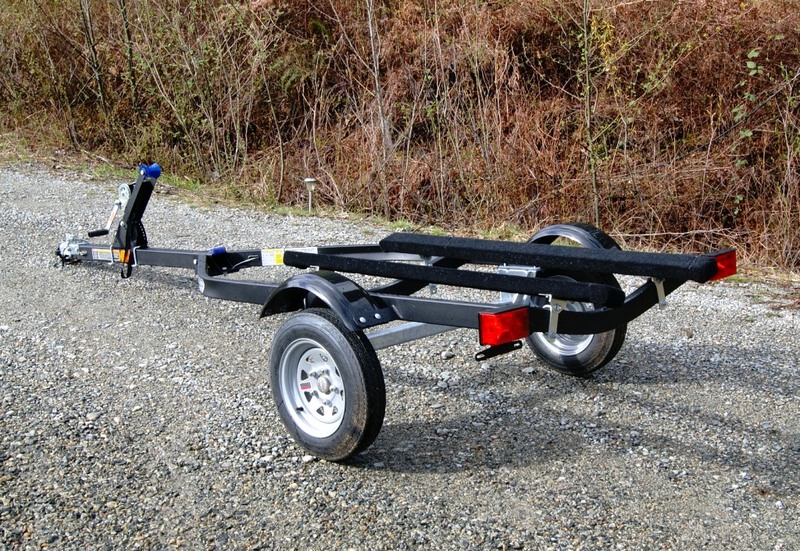 Features: Adjustable brackets and carpeted 6' bunks, Aluminum frame, LED Lighting, Retractable Ratchet Straps, Tire Size: 4.80 x 12, High Carrying Capacity: 1785 lbs, GVW 1980 lbs, Approximate Weight: 195 lbs, Overall Width: 59.5", Overall Length: 183", Easy lube Bearing system, Fully adjustable winch post, Spring axle suspension, 2" Coupler, 4 Prong electrical hook up. 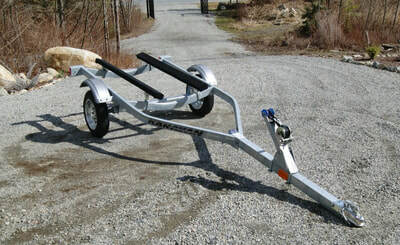 Tongue Jack included in price. 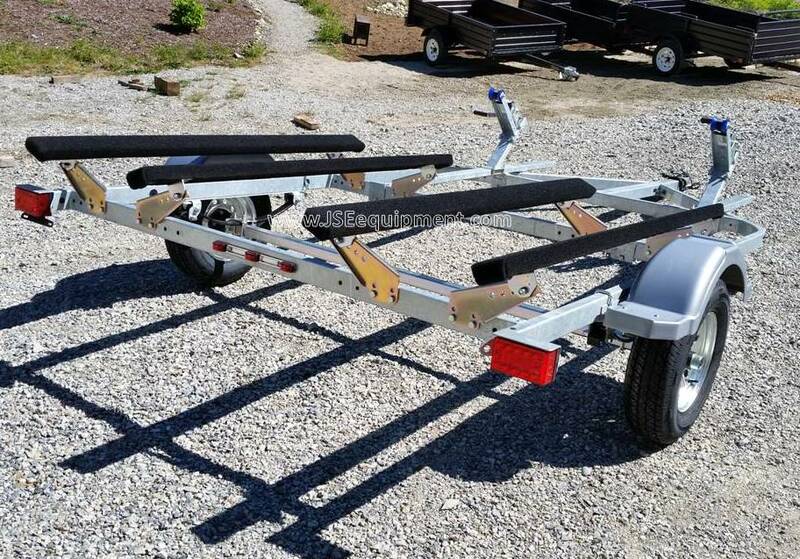 Features: 2009 Mfg Date, Full size Double trailer, 2 Place with Carpeted Bunks, Dual Adjustable Winch posts, ST145R12 Load E Wheels, Carrying Capacity: 1880 lbs, GVW 2200 lbs, Approximate Weight 320 lbs, Overall Width: 102", Overall Length: 190", Easy lube Bearing system, Smooth ride Torsion axle suspension, Polymer Fenders, Aluminum center walkway, 2" Coupler, 4 Prong electrical hook up. Tongue Jack included in price. 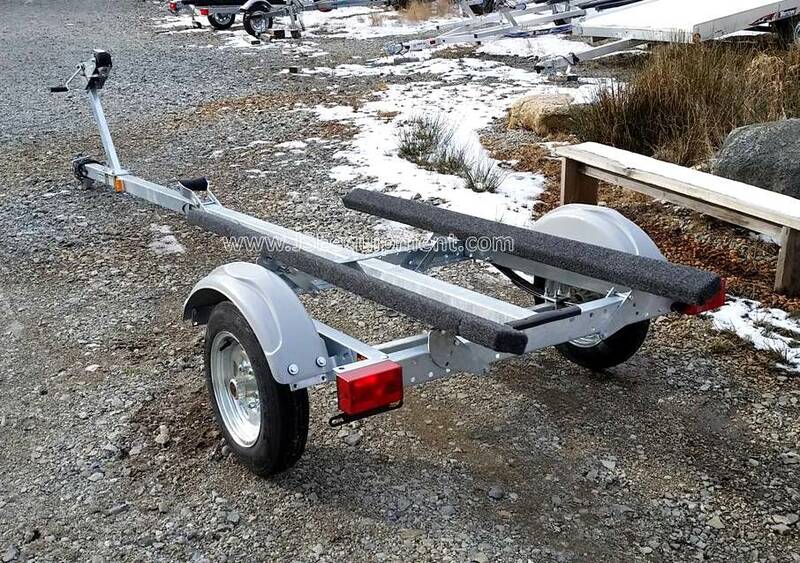 Features: Designed for Small to mid sized watercrafts, 2 Place with 5' Carpeted Bunks, Dual Adjustable Winch posts, LED Lighting, Upgraded 5.30x12" Wheels, Carrying Capacity: 1500 lbs, GVW 1800 lbs, Approximate Weight 300 lbs, Overall Width: 96", Overall Length: 164.26", Easy lube Bearing system, Galvanized Axle, Leaf Spring suspension, 2" Coupler, 4 Prong electrical hook up. 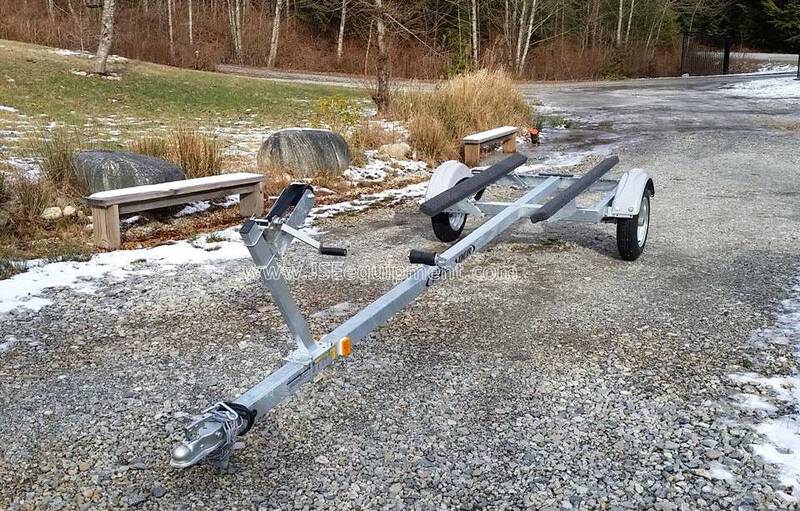 Tongue Jack Optional and not included in price. 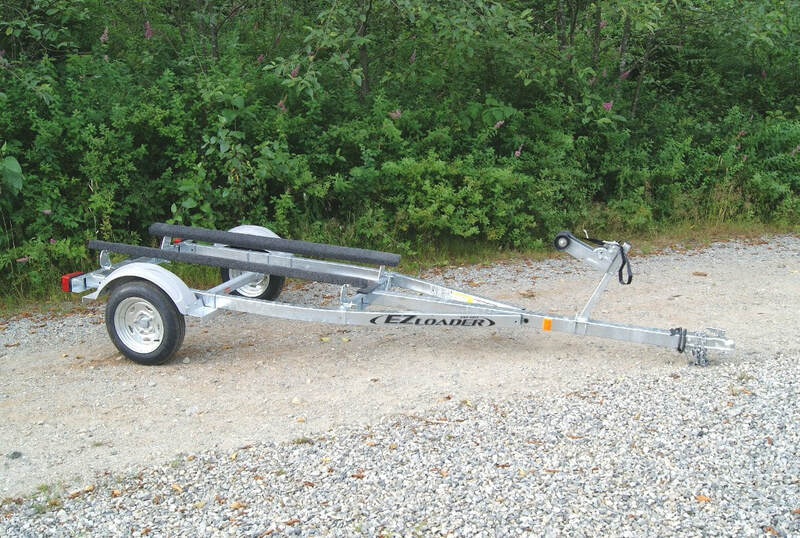 *NEW* EZ Loader Double Watercraft Trailer, 13" Wheels, 2100lb Carrying Capacity, 85" Between Fenders, 99" Overall Width, 16' Overall Length, 480lb Curb Weight, Galvanized Torsion Axle suspension, Sealed Hubs, Dual 2 piece Adjustable Winch posts, Fully adjustable bunks, Polymer Fenders, 2" hitch coupler, 4 prong electrical, Tongue Jack optional. 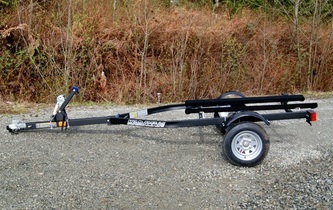 Cash price, Add 2% for Credit card purchase. 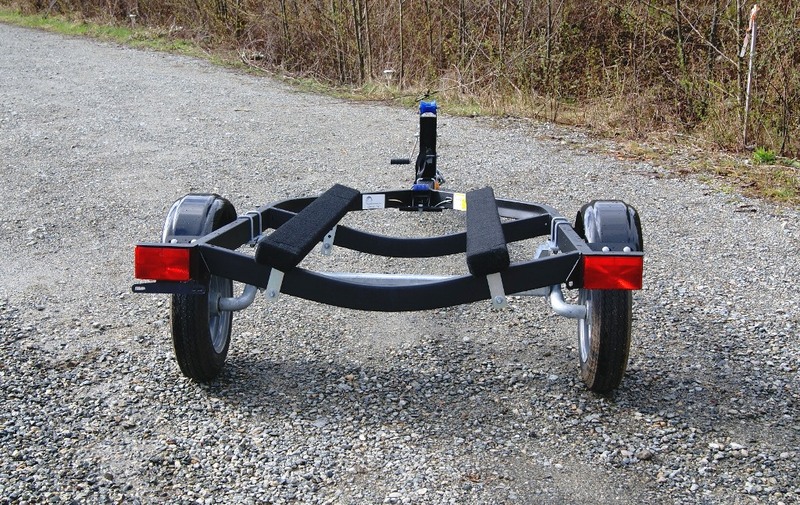 Price subject to BC Tire levy and 12% tax. 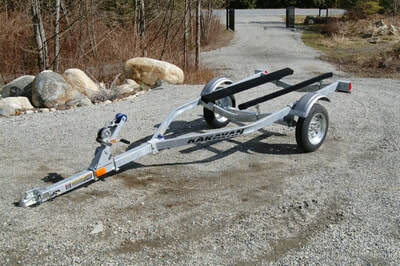 *NEW* Karavan Double Watercraft Trailer, 13" Wheels, 2200lb Carrying Capacity, 84" Between Fenders, 99" Overall Width, 17' Overall Length, 485lb Curb Weight, Leaf Spring suspension, Dual 2 piece Adjustable Winch posts, Fully adjustable bunks, Polymer Fenders, Sure lube hubs, 2" hitch coupler, 4 prong electrical, Tongue Jack optional. 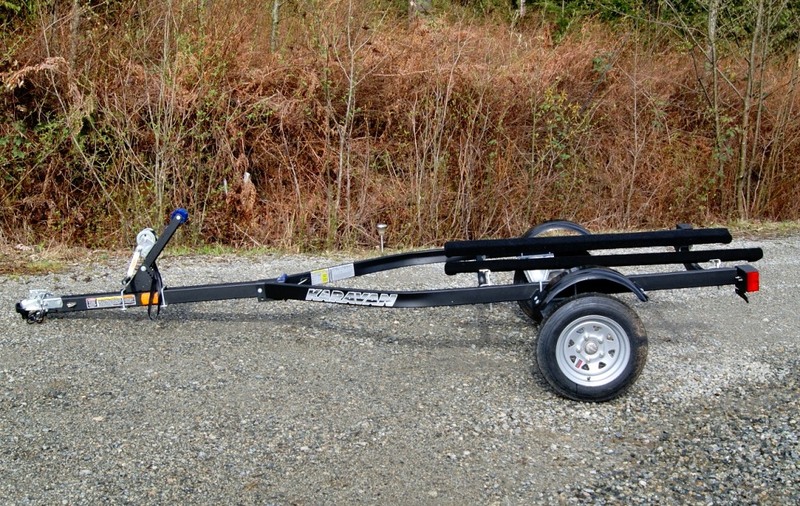 Features: Full Size 2 Place with 6' Carpeted Bunks, Dual Adjustable Winch posts, LED Lighting, ST145R12E Wheels, Carrying Capacity: 2180 lbs, GVW 2500 lbs, Approximate Weight 320 lbs, Overall Width: 96", Overall Length: 176.5", Easy lube Bearing system, Galvanized Axle, Leaf Spring suspension, 2" Coupler, 4 Prong electrical hook up, Approx. 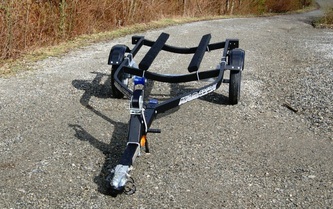 Hitch Height: 16". 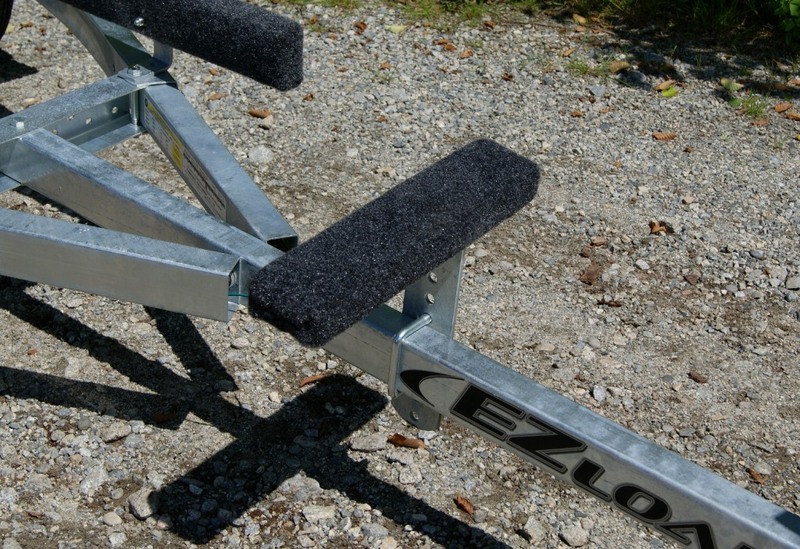 Tongue Jack Optional and not included in price. Features: Rare Tandem Axle, Full Size 2 Place with 6' Carpeted Bunks, All Stainless Steel Hardware for durable salt water use, Dual Adjustable Winch posts, LED Lighting, 13" Wheels, Galvanized Torsion axles, Carrying Capacity: 2445 lbs, GVW 2995 lbs, Approximate Weight 550 lbs, Overall Width: 102", Overall Length: 201", Easy lube Bearing system, Rear integrated ratchet straps, 2" Coupler, 4 Prong electrical hook up, Approx. Hitch Height: 19". 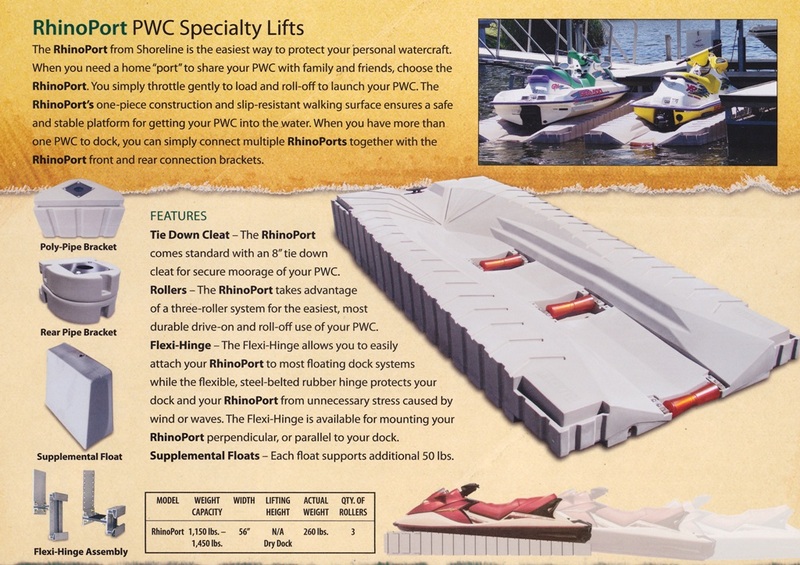 Rhinoport PWC Lift, made by Shoreline! 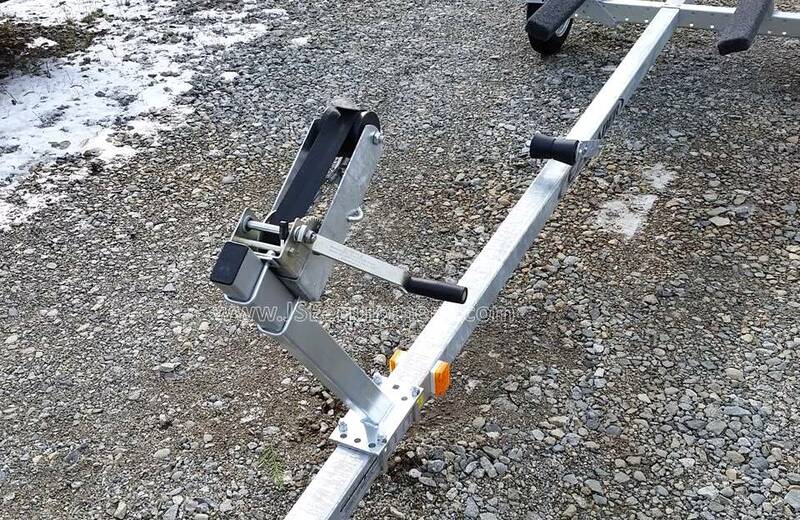 Dock your PWC easy and worry free from dock marks. 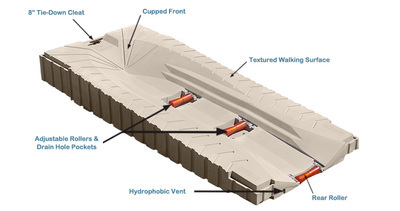 One piece construction, slip-resistant walking surface. 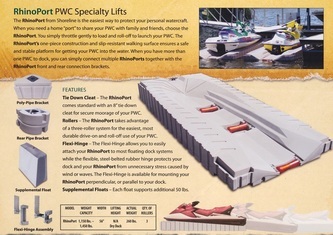 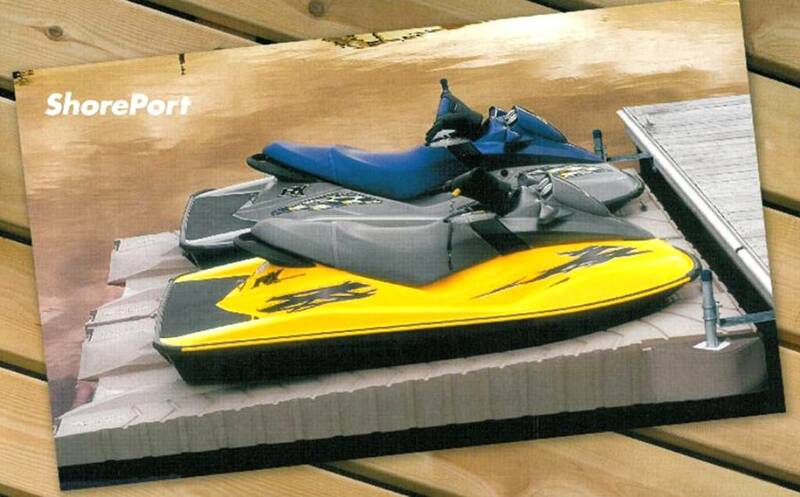 Connect multiple Rhinoports to dock more than one PWC with Rhinoport front and rear connection brackets.